Allahumma salli wa sallim `alaa `ayni 'r-rahmati 'r-rabbaaniyati wa 'l yaaqootati 'l-mutahaqqiqati 'l-haaitati bi-markazi 'l-fuhoomi wa 'l-ma`anee. Wa noori 'l-akwaani 'l-mutakawwinati 'l-aadami sahibil haqqir-rabbani al barqil asta'i bi muzoonil arbahil maliati li kulli muta'arridhin min al-buhoori wa 'l-awaani. Wa noorika 'l-laami`u 'Lladhee malaata bihi kawnaka 'l-haa'iti bi-amkinati 'l-makaani. Allahumma salli wa sallim `alaa `ayni 'l-haqq allatee tajalla minhaa `urooshu 'l-haqaaiqi `ayni 'l-ma`aarifi 'l aqwami siraatika 't-taami 'l- asqam. Allahumma salli wa sallim `alaa tal`ati 'l-haqqi bil haqqi al-kanzil `azham. Ifaadatika minka ilayka ihaatati 'n-noori 'l-mutalsam.  Sallallahu `alayhi wa `alaa aalihi salaatan tu`arrifunaa bihaa iyyaah. If you read this salawat seven times a day or more, yuhibbahu mahabbatan khaasah wa laa yamootu illa waliyyan, Prophet will love you with a special love and you will not leave dunya without being a wali. Whoever recites this salawaat is mentioning the highest names of Prophet , Allah will open for him as He opened for His awliyaullah! O Allah, send benediction upon and salute on the Essence of Divine Mercy, the Accomplished Ruby encompassing the center of comprehensions and meanings, the Light of all created universes, the Adamic who possesses Lordly Truth; the all-filling Lightning in the rain-clouds of gains that fill all the intervening seas and receptacles; Your Bright Light with which You have filled Your creation and which surrounds all possible places. O Allah,bless and salute the Essence of Truth from which are manifested the thrones of realities; the Essence of the Most Righteous Knowledge, Your Complete and Most Straight Path. O Allah, bless and salute the Advent of the Truth by the Truth; the Greatest Treasure, Your Outpouring from Yourself to Yourself; the Encompassment of Talismanic Light. May Allah bless the Prophet and his household, a prayer which brings us to knowledge of him.